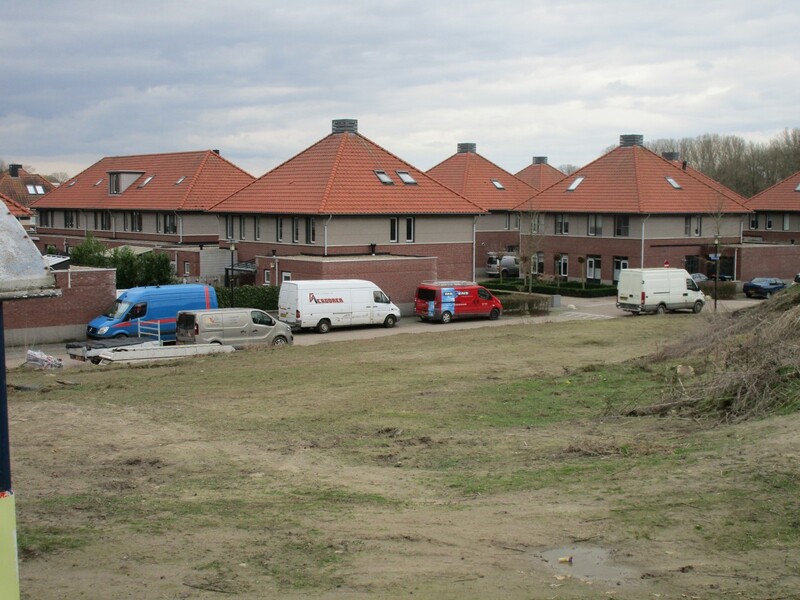 From left to right: Mercedes-Benz Sprinter, Opel Vivaro (with a trailer), Mercedes-Benz Sprinter, Renault Trafic, Volkswagen Caddy (further in the background, inbetween the houses) and last but not least an Iveco Daily. All segments were there, from compact to truly full-size. I have a collection of miniature Mercedes Sprinter vans made by Siku and I’ve always wanted to drive one of these Euro-vans just for the heck of it. The Sixt at the San Jose airport rents the Mercedes Metris, so one of these days I will rent one. I had the chance to rent a Ford Transit Connect that was sitting in the Emerald Aisle at the National Rent a Car in Boston, but I chose an Accord – one of those split second decisions that I still ruminate about. 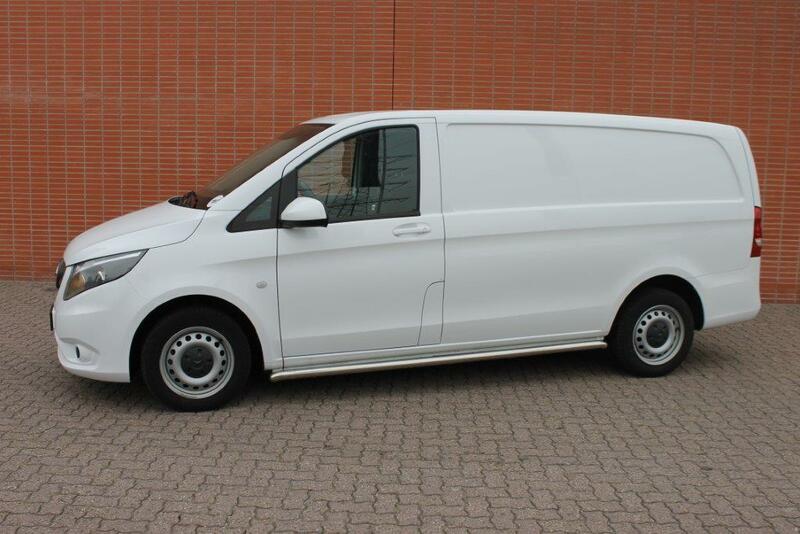 The panel van of this generation is called the Vito here, the first generation was introduced in 1996. The MPV version, like in your picture, is called the V-Class. Occasionally Mercedes-Benz model designations make sense. Van-class, indeed! The best one, internationally, is the Mercedes-Benz E-Class. E for Executive, also called the E-segment. It needs to go to the brick building with the red tile roof. You can’t miss it. It’s the one with the skylights. I had high hopes for the small commercial vans in the US, but the sales figures are tanking month after month. The Nissan/Chevrolet are simply the worst vehicles for sale in the US today. I’m 100% certain that the only people who buy them are the ones who will never drive them, but force their employees to. I liked the Ford best, but the ergonomics are so bad that my back was sore 20 minutes into the test drive. The RAM is pretty good too, but I’m scared to death by the quality and longevity issues that all FCA vehicles seem to suffer. I am right with you on the Ford. After 10 hours in one I felt like I worked a full 40. The last Plumbing company I worked for refuses to buy the new “euro” vans. They have a full time mechanic that reconditions Savana/Express vans that they buy at auction. Small panel vans, like the VW Caddy in the background, are typically driven by service mechanics, house painters, window washers, meal delivery services and such. Ladders, pipes, tubes etc. go on a roof rack, the Caddy and the red Renault Trafic have one, as you can see. As the cargo (tools, equipment, materials) gets more voluminous, the van also grows. If that cargo is also heavy, you’d have a full-size RWD van with a heavy-duty rear axle with dual wheels. A gardener nearby hauls his small wheel loader in such a van, for example. Panel vans are much more common than open bed pickup trucks and dropside trucks. The photo pretty much wraps it up. I see a lot of new style Transit Connects in Oregon as well as an increasing number of full sized Transits. The most interesting story I’ve seen is a locksmith in Aloha Oregon, who had an early Sprinter, several newer Econolines, and a brand new Transit, indicating they didn’t like the Sprinter that much, but were willing to try the Transit. I’ve never driven a Euro style van but my son drives one of the older square Transit Connects for work and says it’s OK to drive but very tired after several years of college students.